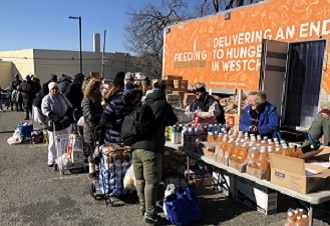 Feb. 6, 2019: On January 30, 2019, Feeding Westchester hosted a pop-up mobile food pantry distribution at the parking lot of the Westchester County Center in White Plains. The food pantry, which ran from 11:00 am to 1:00 pm, was open to federal employees who were furloughed during the government shutdown as well as the general public. 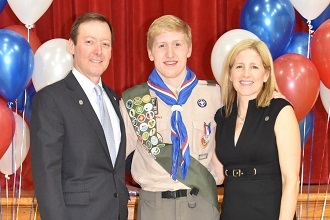 Feeding Westchester brought enough food to feed over 300 families. Among the items were fresh meats and poultry, dairy, produce, and grains. Feeding Westchester's website says that it "is a member of Feeding America, the nationwide network of more than 200 food banks serving every state in the United States. Our membership gives us access to millions of pounds of donated food products from national companies."